Asprey has begun selling its high-end wares online. 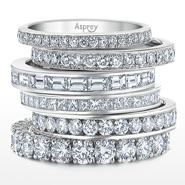 Asprey.com offers merchandise ranging from diamond engagement rings to crocodile handbags to silver baubles and gifts, and the company ships orders globally. BMW grabbed the top spot in the U.S. luxury auto market in 2011, edging out Daimler AG’s Mercedes-Benz brand, as both German automakers took advantage of inventory problems for Toyota Motor Corp’s Lexus lineup, according to company figures issued on Thursday. The Audi A7 and Range Rover Evoque climbed to the top of the totem pole earlier this week by winning Autoweek’s prestigious “best car” and “best truck” categories, respectively. 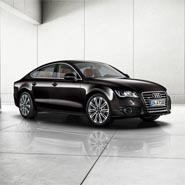 For more luxury news, please follow us on Twitter or Like us on Facebook.